Heilongjiang University started an exchange program with Gachon University on July 30, 1997, including the signing of joint research agreements. The entrance application period is from March 1st to May 30th every year for high school graduates and people under 30 years of age. The entrance requirements require taking an international Chinese level assessment, HSK (Hànyǔ Shuǐpíng Kǎoshì). The College of Liberal Arts requires grade 6 and the College of Science requires grade 5, but the Modern Chinese Department and the International Trade Department doesn’t have a grade requirement. Instead, you must take a special test to be evaluated. Exchange students must have over 4.0 grade in Chinese but ability to speak other languages is not required. Let's investigate more about Heilongjiang University. Heilongjiang University is a collegiate university founded in 1941 and is located in the north-eastern Chinese city of Harbin, which is famous for its beautiful landscapes. In winter, you can enjoy winter sports such as, skiing and skating. Harbin has wonderful landscapes, so it is called 'Eastern Small Paris'. It celebrates the well known 'Harbin Ice Festival' every year which has gained an international reputation. Half of the international students studying at this university are South Korean students. 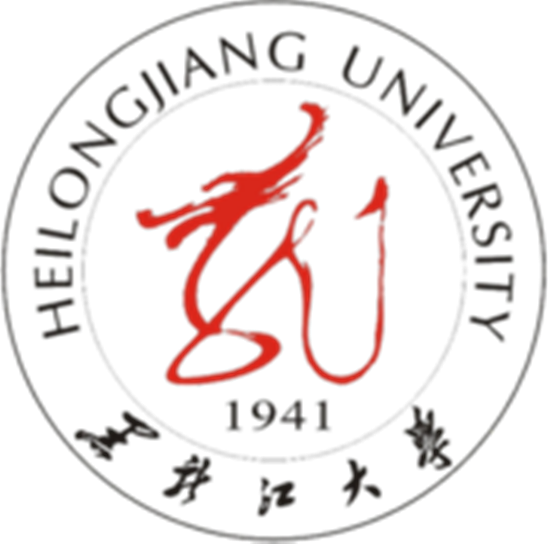 Since 1981, Heilongjiang University has accepted international students from all over the world. It is famous for its foreign languages, especially exact pronunciation education, with many graduates now working as announcers at places like NHK, CNN, and KBS. It contains a firm curriculum, has become one of the top 5 noble universities in China. Over 3,000 international students from South Korea, Japan, Russia, U.S.A, and Britain have studied at this university. As a noble university, the buildings and research facilities including 17 authorized laboratories are modern and superb. In winter, even though the temperatures drop to minus 30 degrees celsius, buildings are equipped with heating systems so it's not difficult to live and study. The campus is divided into three sectors; A, B, and C. It takes approximately 30 minutes to walk from A sector to C sector. Also, each sector has a swimming pool, a gymnasium, convenient facilities and dormitories. Classes are the held in the same unit system as Gachon university. In the afternoon, each class has one teacher each and you can get free of charge Fudao (help studying and teaching) whenever it is needed. Moreover, there is a cultural physical education activity. For instance, short courses held in the summer contain Taegeok, Chinese Writing, Chinese Art, Chinese songs, Chinese movie watching, and Pronunciation Fixing. You can find many kinds of cultural lectures. The class subjects are largely divided into listening, speaking, colligation and language. Listening, speaking and colligation are necessary and language is optional. There are different colleges, including; College of Engineering, College of Medicines, College of Liberal Arts, College of International Studies, and the College of Arts. For international students, there are Chinese regular major courses such as China Trip Geography, China Foreign Countries Comparison, Translation and Hot Topics. You will find experienced and skillful professors for all courses. Heilongjiang University is basically a College of Liberal Arts but it also obtains oreign languages education and trade majors. If you major in business, you should study for five years. First graders study basic Chinese, second and third graders study economic trades associated with Chinese, and fourth and fifth graders buckle down to study international trade. Since 1981, Heilongjiang University has educated over 10,000 students from over 60 countries. Nowadays, Heilongjiang University is still activating international culture exchanges and discharging competitive and talented people.